In 2009 the Marine and Coastal Access Act was announced by the Government, promising a network of marine protected areas creating a ‘blue belt’ around the UK of thriving marine environments. The Marine and Coastal Access Act would create new Marine Conservation Zones (MCZs) and Marine Protected Areas (MPAs) (in Scotland) to work alongside the current Special Areas of Conservation (SACs), Special Protected Areas (SPAs) and Site of Special Scientific Interest (SSSI) which are all designated through European legislation. Research by The Wildlife Trusts, the Joint Nature Conservation Committee (JNCC) and other conservation, scientific bodies and stakeholders drew up a list of 127 suggested sites, which were given to the government for consideration. In England and Northern Ireland two tranches of MCZ’s have been designated already. In 2013, 27 MCZs were designated followed by a further 23 in early 2016. In 2018, a third and final tranche of MCZs will be designated, which will be consulted on (by stakeholders including ourselves, the general public) during 2017. The Wildlife Trust’s have written a report identifying the MCZ’s they think are required to create the promised ‘blue belt’. This report includes the proposed MCZs in Welsh waters which are currently on hold, as it is thought the Welsh government will take control of the decision making soon (as the Scottish government designates Scottish MPAs). However these sites risk falling through a political gap and being forgotten about. Phytoplankton in the world’s ocean provide half of the oxygen in the air that we breath and absorbs about one third of the carbon dioxide we produce. Globally, about 3 billion people rely on fish as their main source of protein (WWF, 2017). Undiscovered cures for diseases my exist in marine species, just like marine bacteria found on sponges which have been identified as having antibacterial properties (Malve, 2016). Features: covering a range of species and habitats, particularly those that are identified as threatened or in decline. Connectivity: well-distributed protected areas but close enough to ensure ecological links are maintained. Representativity: the areas should protected the full range of habitats and species identified in the geographical area. Resilience: areas large enough to provide meaningful protection. Management: the areas are managed to ensure protection of features for which it was proposed. The MCZs have been split into areas; northern North Sea, southern North Sea, Eastern Channel, Western Channel and approaches, and the Irish Sea. The map below, from the The Wildlife Trust’s report, shows the currently designated MCZs and the 48 proposed to connect the network next year. Light blue are MCZs designated in the first tranche (2013), orange in the second tranche (2016), yellow are on the on hold Welsh MCZs and pink are the MCZs identified by The Wildlife Trust for the third tranche in 2018. This map does not include the MPAs designated by the Scottish government. The proposed MCZs cover habitats from intertidal sands and gravels to deep-offshore mud, seagrass bed to rocky outcrops and biogenic reefs created by a type of marine worm (Sabellaria species). The northern North Sea area runs from the north-east coastline of Scotland to Flamborough. Three sites are proposed for the northern North Sea. These are Compass Rose, Castle Ground and Durham Heritage Coast. These sites range from subtidal sands and gravels which are important spawning and nursery ground for many commercial fish including plaice and herring, to intertidal coarse material which provide a home for sponges, crabs, starfish, brittle stars and molluscs. The southern North Sea area runs from Flamborough to mid-Kent. Seven sites are proposed. These are Alde Ore Estuary, Lincs Belt, Markham’s Triangle, Orford Inshore, Silver Pit, Thames Estuary and the Wash Approach. These sites protect areas of sandbanks to a deep glacial tunnel valley; Inner Silver Pit. The Inner Silver Pit is home to crabs, lobsters and reefs created by Sabellaria worms. The eastern channel runs from the mid-Kent coast around to the Dart Estuary. Eighteen sites are proposed. These are Axe Estuary, Beachy Head Estuary, Bembridge, Broadbench to Kimmeridge Bay, Dart Estuary, East Meridian, Fareham Creek, Goodwin Sands, Hythe Bay, Inner Bank, Lyme Bay Deep, Norris to Ryde, Offshore Foreland, Otter Estuary, Silsey Bill and the Hounds, South of Portland, Studland Bay and Yarmouth to Cowes. Many of the sites proposed for the Eastern Channel are areas known for their seagrass beds. Seagrass beds are vital nusrerys and spawning ground for many fish species, as well as home for the two types of native seahorse in the UK. Goodwin Sands also incorporates Sabellaria reefs and blue mussel beds. Lyme Bay is also an area thought to be vitally important for the White Beaked Dolphin. 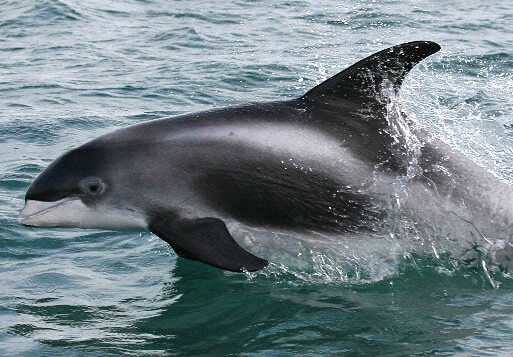 50 – 75 % of the global population of this dolphin is found in European waters and Lyme Bay is believed to be an important feeding and possibly calving ground for a number of individuals. The western channel and approaches runs from southwest coast of south Dartmouth, around the Cornish coast and north coast of southwest UK until St. David’s on the Welsh coast. Twelve sites are designated within the western channel and approaches. These are Camel Estuary, Cape Bank, Devon Avon Estuary, East of Jones Bank, Erme Estuary, Morte Platform, Northeast of Haig Fras, Northwest of Lundy, Southeast Falmouth, South of the Isle of Scilly, Southwest Deeps (East) and Taw Torridge Estuary. The Southwest Deeps (East) is a rare site in English coastal waters, which are much more shallow usually. Southwest Deeps (East) includes some of the largest and deepest sandbanks in the UK, as well as an area of seasonal, nutritionally-rich fronts which are important feeding grounds for cetaceans, fish and seabirds. The Irish Sea includes waters off England, Wales, Northern Ireland and Scotland. Three sites are proposed. These are Slieve Na Griddle, Mud Hole and South Rigg. These sites represent deepwater mud habitats which are home to seapens, urchins, prawns, shrimps and crabs. The threatened ocean quahog can also be found at South Rigg. These slow-growing bivalves can be over a hundred years old, and are therefore vulnerable to overfishing. These three MCZs have been proposed in an earlier tranche but due to worries about the economic impact on the prawn fishery have been put on hold. The wildlife Trust do not believe the prawn fishery in its current form is not sustainable and are working with the fisherman and government to broker a sustainable and protect future for this area. The six Welsh sites which are proposed but currently on hold are North of the Celtic Deep, East of the Celtic Deep, Celtic Deep, South of the Celtic Deep, Mid St. George’s Channel and North of St. George’s Channel. These six sites cover rock, sandy mud, horse mussel beds, sea pens and the slow growing ocean quahog. All these fantastic potential MCZs need your support and involvement to ensure that they are carried through by the government to next years final MCZ designation. You can sign up to support and follow your local MCZs and UK wide at wildlifetrusts.org/MCZfriends. The Wildlife Trusts will email you with updates, information and how to get involved in the consultations in a constructive and hopefully successful way! I'm a marine biologist working as an Environmental Scientist for a marine consultancy. I love nature and the marine environment. I try to spend as much of my spare time outside and getting involved with conservation and outdoor activities. Keep an eye out for amphibians! Next story Fragrant flower or invasive thug?